Sure! 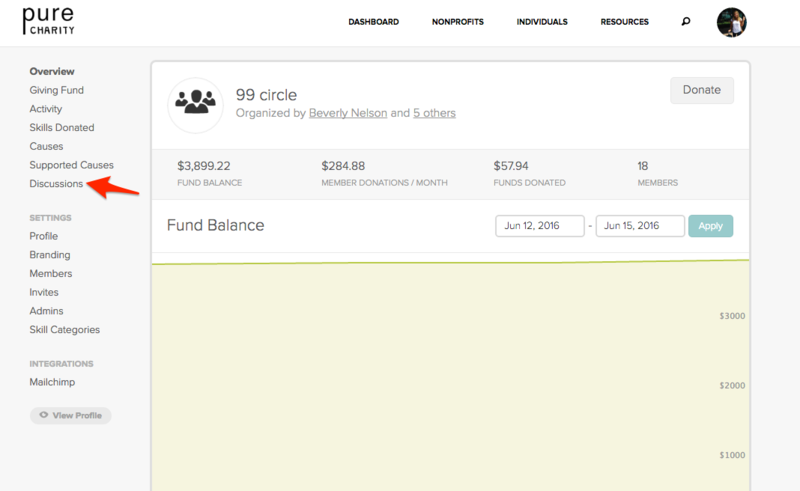 We want Giving Circle members to be connected in their giving, action and conversation. 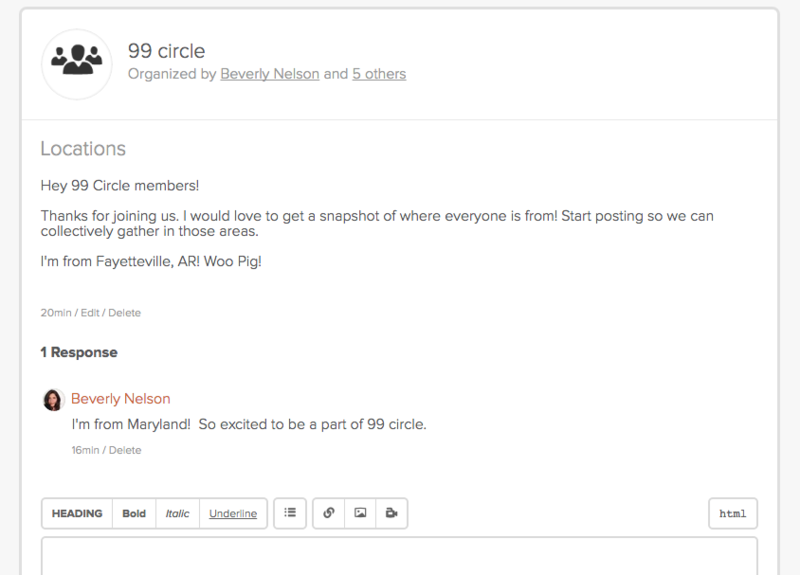 Giving Circle discussions can be used to share more on yourself as a member, discuss the next cause you want to support, or create ideas! Want to start a group discussion? Follow the instructions below to learn how. 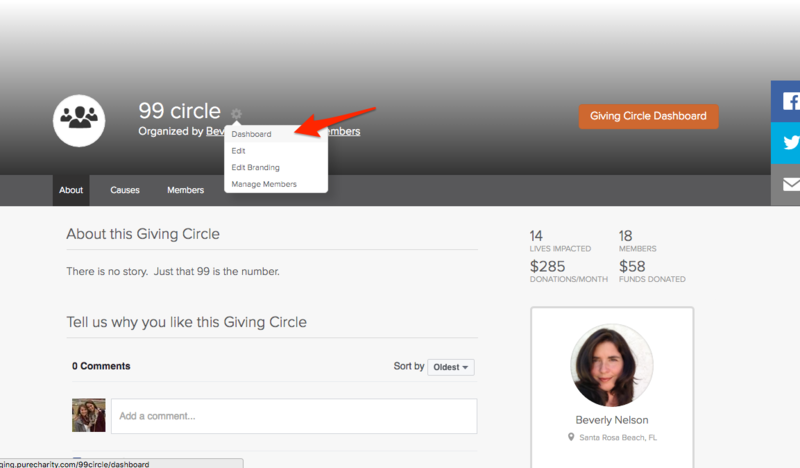 Step One: Starting from the home dashboard, click Giving Circles in the gray bar. 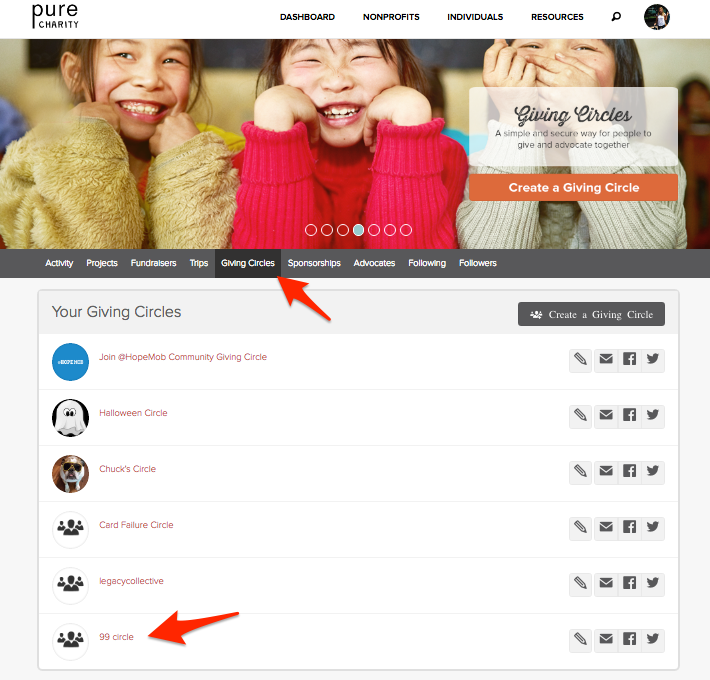 Next click your Giving Circle name. Step Two: Click the Gray Gear Icon. Select Dashboard. Step Three: Click Discussions on the menu in the left. 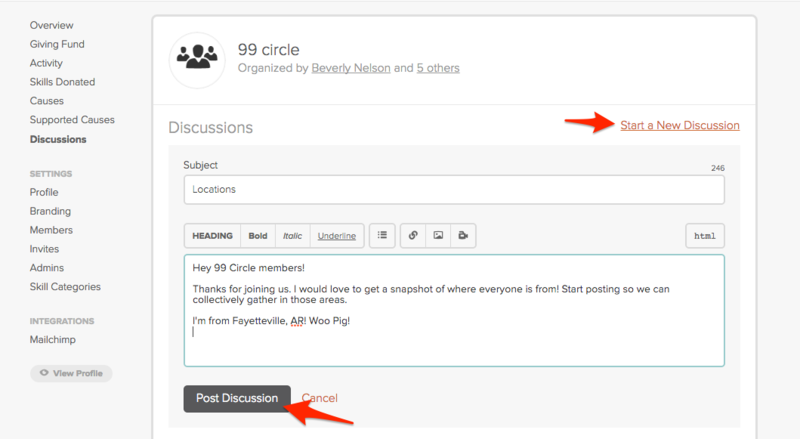 Step Four: Click Start a New Discussion, create a Subject and Message, and click Post Discussion. Your discussion has now been posted! Want to read other member responses? Click your Discussion Name and see the responses listed below your message!